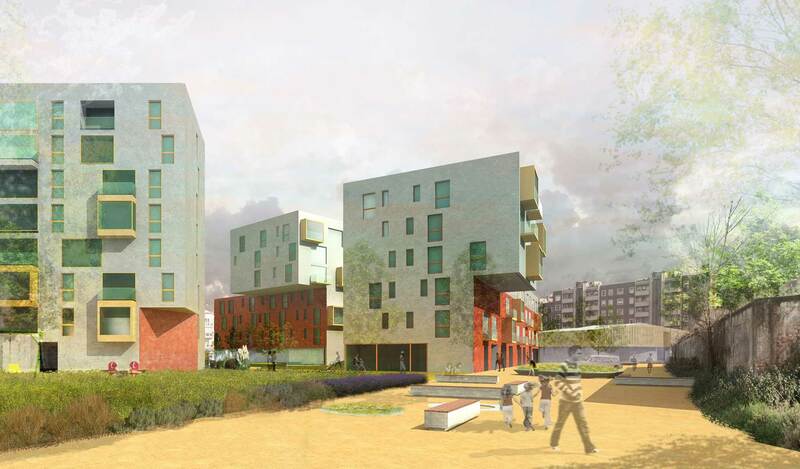 Competition with Collini Lavori S.p.A., I.C.G. 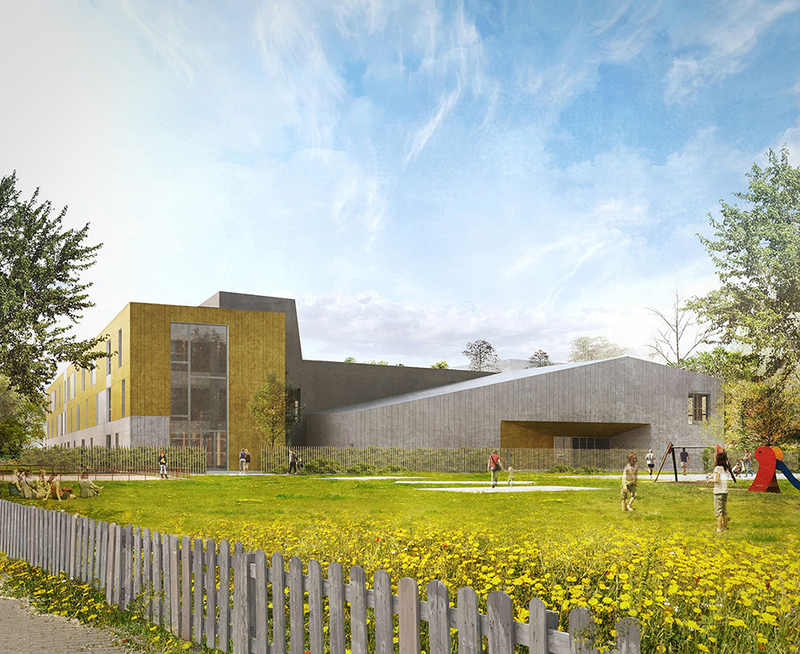 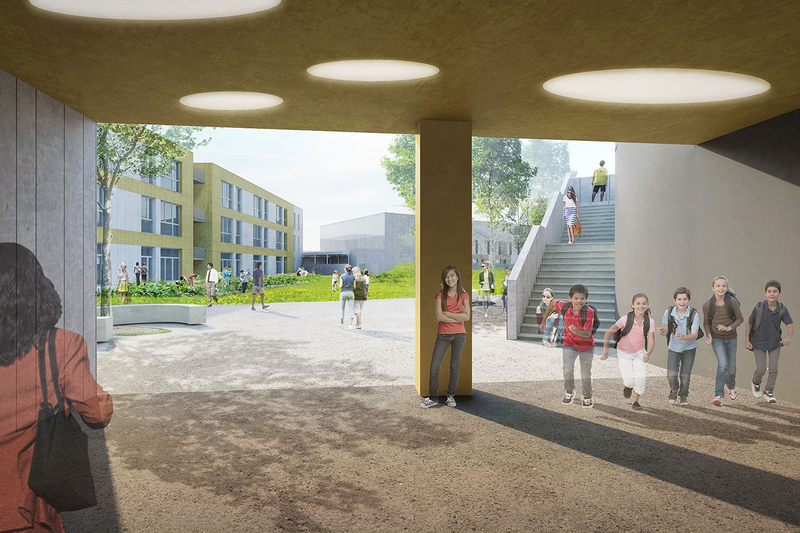 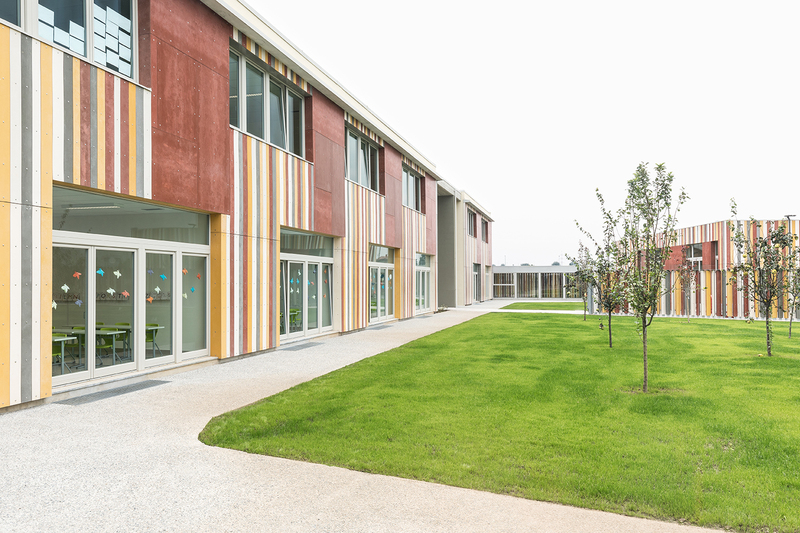 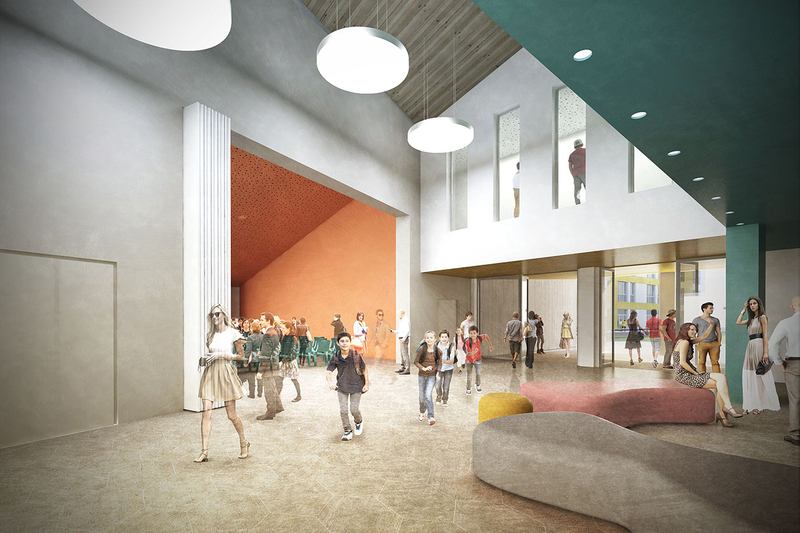 The school is configured with a mainly linear development, given the relationship between the planimetric extension and the height of the buildings (two floors for the school and double height spaces for the parts with civic function). 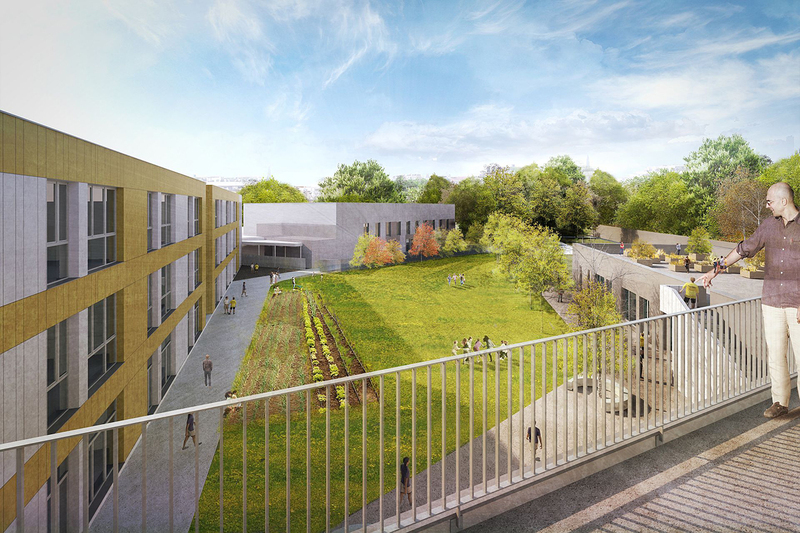 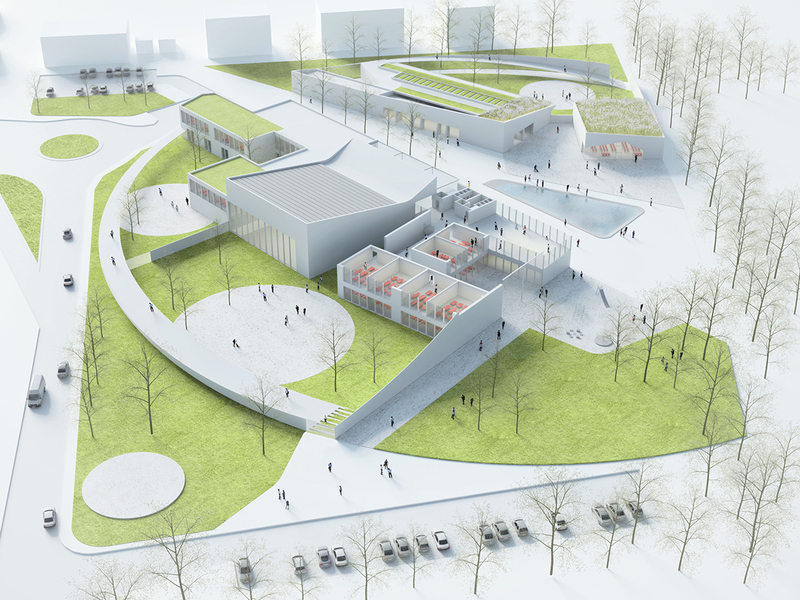 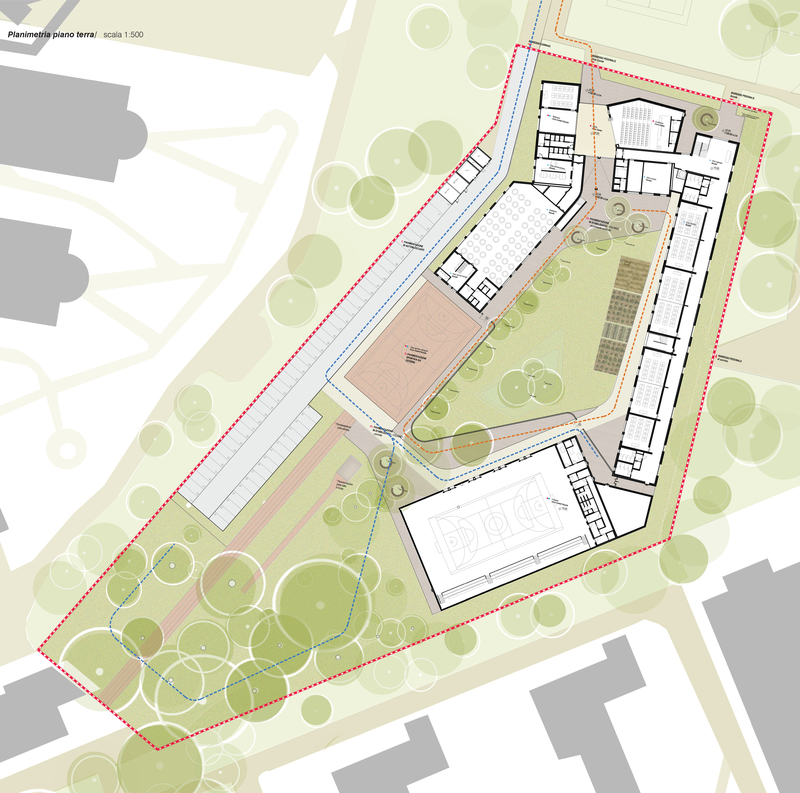 The landscape and architectural image is defined by a long body that, articulates with different layers and extends creating two well-defined spaces: to the south a large open courtyard that houses a square, to the northwest a garden appurtenant to the students. 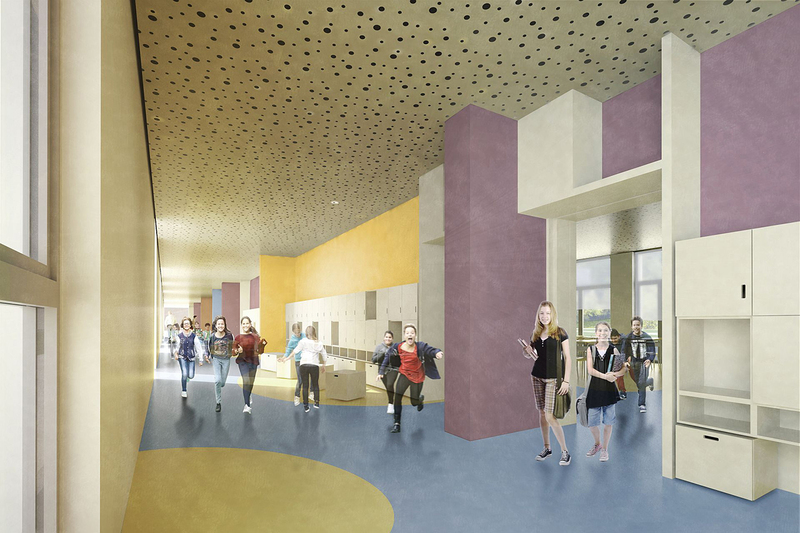 Much attention is paid to the study of open spaces. 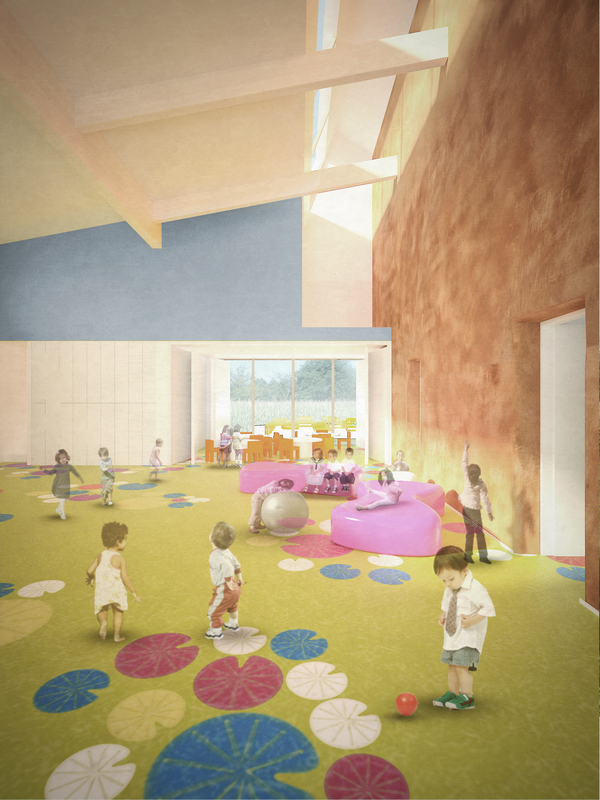 The will is to have a natural landscape that can be configured as a place of play or educational, punctually equipped with play equipment (swings, rides, slides) or with spaces for cultivation and teaching (vegetable gardens and little gardens).